Steven Rickards has received international acclaim as one of America’s finest countertenors. He recently took part in the premiere of John Adams's oratorio El Niño at the Châtelet opera in Paris. There have been subsequent performances of the work with the Adelaide Symphony, the BBC Philharmonic, the Deutsches Symphonie Orchester, the Los Angeles Philharmonic, San Francisco Symphony, the Tokyo Symphony, and the Malmö Opera (Sweden). His schedule of performances has included frequent appearances Joshua Rifkin and the Bach Ensemble with performances throughout the United States, Europe, and Australia. 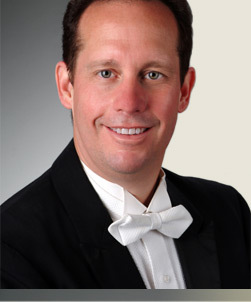 He has also performed with The American Bach Soloists, Chanticleer, Ensemble Voltaire, the Gabrieli Consort, Chicago ’s Music of the Baroque, the New London Consort, The St. Paul Chamber Orchestra, the Seattle Baroque Orchestra, the Opera Company of Philadelphia, The Santa Fe Opera, and the symphony orchestras of Indianapolis, Pittsburgh, San Francisco, and St. Louis and Tokyo. He has sung at Carnegie Hall with the Oratorio Society of New York, and in France as a soloist with The Festival Singers under the direction of Robert Shaw and with Paul Hillier and the Theatre of Voices. Rickards was the was the soloist in the American premiere performance of Michael Nyman's Self-Laudatory Hymn of Inanna and Her Omnipotence with the Netherlands Wind Ensemble at Lincoln Center's Alice Tully Hall. He has recorded for Chanticleer, Decca, Dorian, Four Winds, Gothic, Harmonia Mundi, Koch, Newport Classics, Smithsonian, and Teldec the labels. Rickards can also be heard on the Naxos label where he has recorded two solo albums with lutenist Dorothy Linell of the songs of John Dowland and Thomas Campion. Steven currently lives in Indianapolis Indiana. He teaches at the Jacobs School of Music at Indiana University in the Institue of Historical Performance. He also teaches singing at Butler University, Marian University, and the University of Indianapolis, where he is director of the Vocal Arts Institute. He sings regularly with The Choir at Christ Church Cathedral. He received is doctorate from Florida State University.